6 Awesome Eco-Friendly Toronto Wedding Venues | Wedding Ideas ARE YOU A VENDOR? 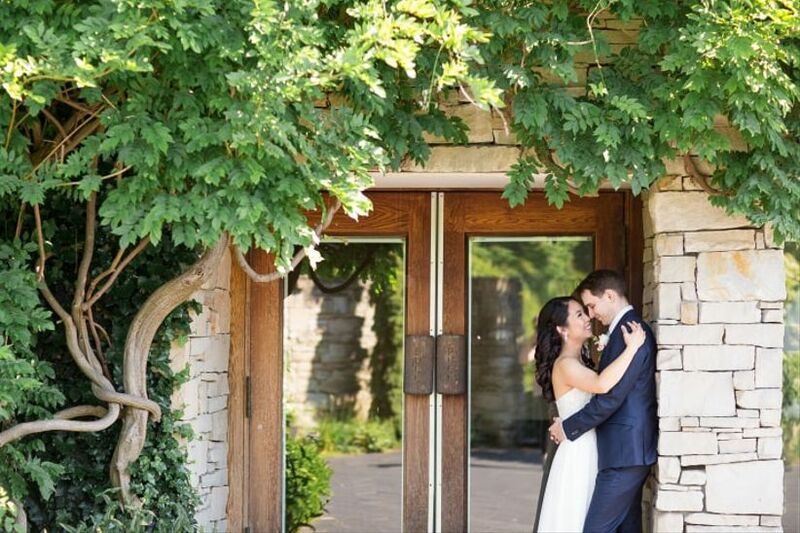 On the hunt for an awesome eco-friendly Toronto wedding venue? These are the green event spaces you need to scout. 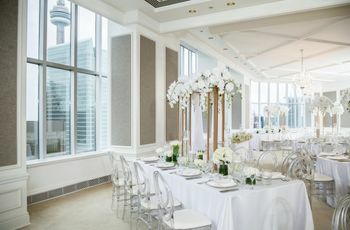 If you’re going green for your wedding, you’re going to want to find the perfect eco-friendly Toronto wedding venue for your event. Whether you’re dying to tie the knot in a garden, brewery, forest, loft or industrial-style space, this city has something for you. We’ve rounded up a few of our favourites to help you on your quest. Here are a few awesome eco-friendly Toronto wedding venues. 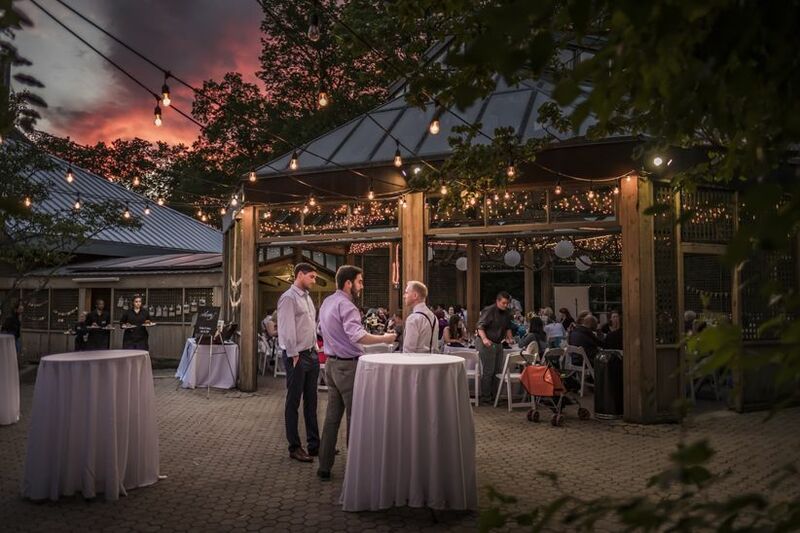 You’ve probably visited EBW once or twice to check out the farmers market or stroll through its grounds, but have you ever considered hosting your wedding here? 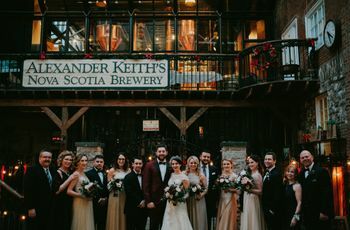 The organization has a mission to “create greener models for urban living”, so with this eco-friendlyToronto wedding venue, you know your dollars are being spent responsibly. It accommodate small ceremonies, 2000-person parties and everything in between, so you’ve got plenty of options when it comes to your guest list. 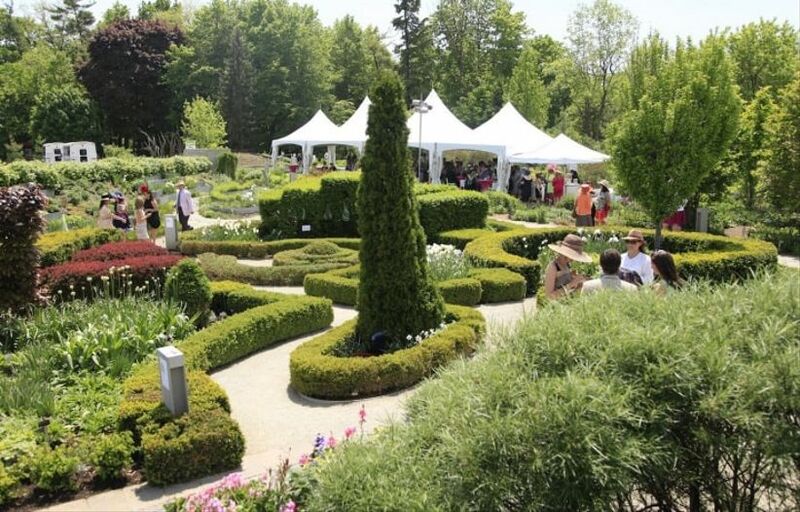 If you’ve been dreaming of saying your vows while surrounded by beautiful blossoms and blooms, the Toronto Botanical Garden is the eco-friendly wedding venue for you. Its green initiatives include a 2,400 square-foot green roof, The George and Kathy Dembroski Centre for Horticulture and the introduction of a Green Team (which implements practices and procedures to reduce the ecological footprint of the venue). The indoor-outdoor space can accommodate up to 250 people, so you can go ahead and add a few plus ones to you guest list. 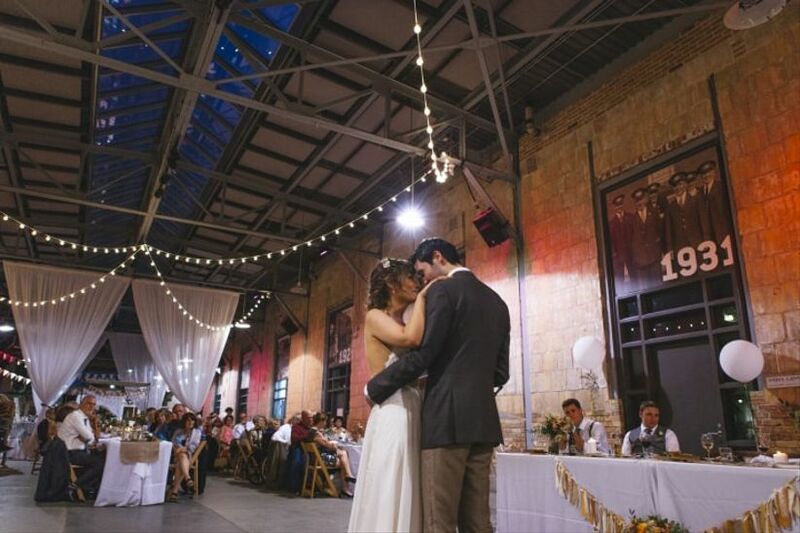 Artscape Wychwood Barns is a popular Toronto wedding venue for couples who love that ultra-trendy, industrial-chic look. However, it’s more than just a stylish space - it’s also an eco-friendly haven with plenty of green features worth knowing about. It has a geothermal heating, ventilation and air conditioning system, stormwater harvesting and reuse system, water-conserving plumbing fixtures, energy efficient lighting and appliances and more. It’s also one of the first designated heritage sites in the country to receive LEED Gold Canada certification (pretty darn impressive, if you ask us). 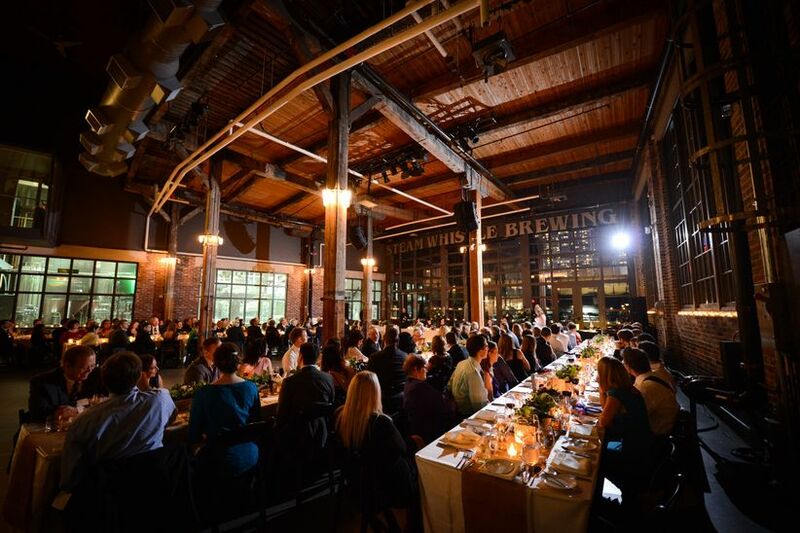 The largest space can fit up to 400 guests, making it an awesome choice for large weddings. On the hunt for an elegant green space for your celebration? 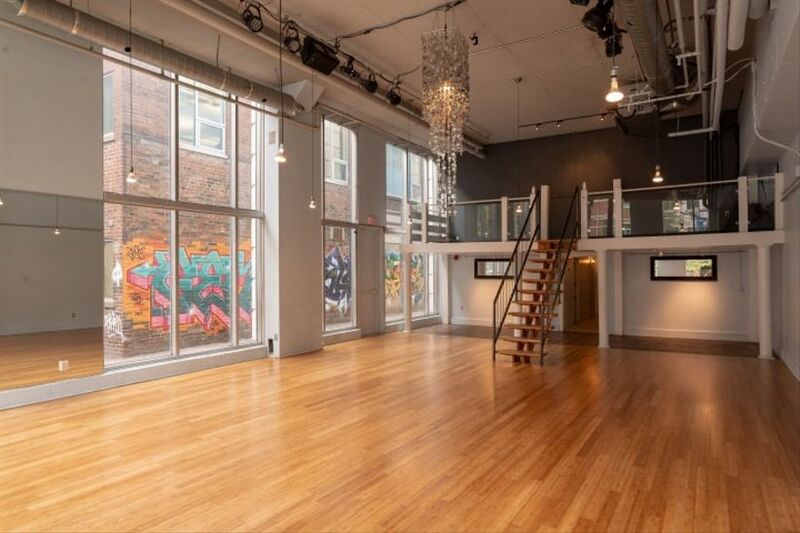 The Richmond may just be the eco-friendly Toronto wedding venue for you. The loft-style space was designed with the environment in mind and boasts bamboo flooring (because bamboo requires little or no pesticides or fertilizers to grow) and walls painted with low or zero VOC paints. 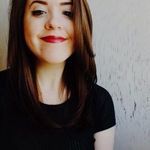 It also runs on clean Bullfrog Power and promises to keep landfill waste from each event to a minimum, so the carbon footprint for your event will be as low as possible. The space can fit up to 75 seated guests, meaning you’ll want to stick to inviting your nearest and dearest. 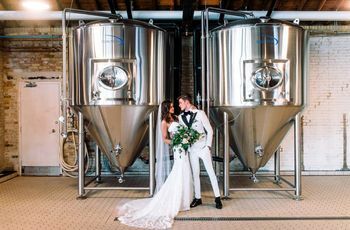 This Bullfrog Powered brewery wedding venue is another industrial-chic option well worth considering. It is committed to using clean, renewable energy to keep it up and running, has energy-efficient equipment and lighting and runs a charitable waste diversion program (just to name a few of its eco-friendly efforts). The facility is also pretty aesthetically-pleasing, flaunting 30-foot ceilings, exposed brick walls and huge multi-paned windows. It can accommodate up to 250 guests for a seated dinner, so you really don’t have to skimp on your invites. 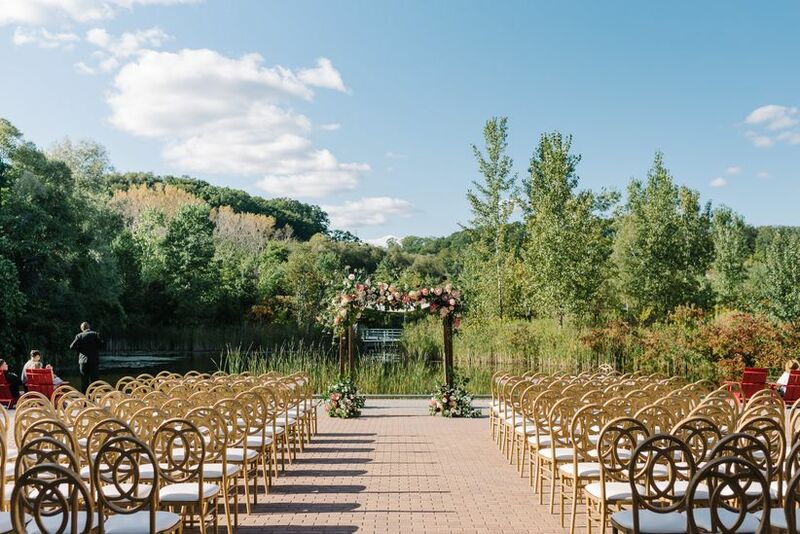 Head a bit north of the city to Vaughan and you’ll find one of the best eco-friendly wedding venues nestled in the forest - the Kortright Centre. The six-acre suburban conservation area runs on Bullfrog Power, doesn’t use any chemicals or pesticides to maintain its grounds, has an on-site recycling program, uses a solar hot water heating system and has a wetland wastewater treatment system. If you’re looking to host your celebration here, it offers a green wedding package that includes everything from your food to your flowers (so you won’t have to do a lot of extra work). 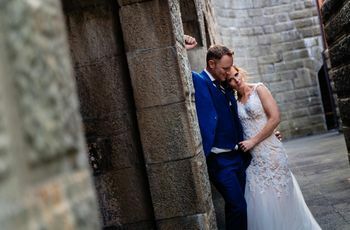 As for spaces, it’s got a ton of gorgeous spots to choose from both indoors and outdoors, the largest of which can accommodate up to 200 guests.